What better than an apple cobbler to impress your guests anytime, anywhere? 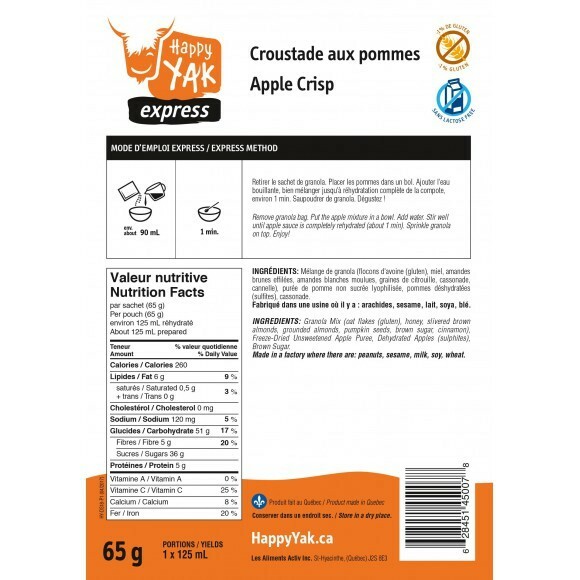 This delicious mix of crunchy granola sprinkled on our apple filling is a special treat. It has a delicate and slightly sweet taste, and complements a meal in a distinctive fashion! Keep it in your pantry or backpack for any occasion. What better than an apple cobbler to impress your guests anytime, anywhere? This delicious mix of crunchy granola sprinkled on our apple filling is a special treat. It has a delicate and slightly sweet taste, and complements a meal in a distinctive fashion! Keep it in your pantry or backpack for any occasion.